“Joyce has been a fantastic resource before and after the birth of our little guy. I knew from our first conversation that she was going to be a great support during the birth process as well. My labor was pretty quick, but I remember Joyce arriving and her calm voice in my ear with reminders of everything we had talked about. After the birth, she was so aware of the small details to make everything just flow smoothly, from making sure my husband and I had breakfast to grabbing a warm blanket, to grabbing pictures. Her presence brought an extra layer of beauty and peace to our son's birth that I will never forget!” - M.B. "We hired Joyce as our doula for the birth of our second child because it was very important to us that I try for a VBAC. I was quickly impressed by Joyce’s professional and comprehensive website. She was always very diligent about returning phone calls/emails/text messages in a timely manner. She met with us on various occasions before the birth and went over our “wish list”. She is very knowledgeable about the birth process, the medical interventions, and birthing techniques/exercises. During my labor, we were thrown a huge curve-ball that prompted my doctor to want to skip the VBAC attempt and jump to a C-section. Needless to say, I was in tears! Joyce was able to calm me down, evaluate the situation, and we proceeded with the VBAC. Joyce met me at the hospital within an hour of my call. I cannot describe how priceless it was to have Joyce there to assist us during my first labor experience! She knew how to massage me, kept me changing positions, drinking water, and encouraging me through the process. Ironically, my husband just couldn’t get it right and Joyce just KNEW what to do and had great stamina doing it! She kept an accurate log of my labor experience, acted professional with the medical staff, and was even our impromptu photographer! I didn’t realize how “intimate” labor could be and really appreciated Joyce helping me during the WHOLE process (like helping adjust the fetal monitors that kept moving around). Even though I ended up with a repeat C-section, I consider my labor experience a success because Joyce helped me find the strength to attempt a VBAC when the odds were against me and helped make my labor as bearable as labor can be. I am grateful that Joyce encouraged me to VBAC so that, as she puts it, my son was able to pick his own birthday! I highly recommend Joyce as a doula!!!" - B.L. "Joyce helped my birth experience to be a great one. She was knowledgeable and helped me get answers to my questions before, during, and after birth. She was positive, friendly, and respectful of my choices. Joyce was a great comfort to me during labor since I did not have an epidural. She was able to suggest many helpful techniques for pain control, and she breathed with me through my intense, late labor contractions. Joyce was also my cheerleader, impromptu photographer, early breastfeeding support, and reliable memory of important details I had been too out of it to notice! I highly recommend Joyce, especially if you would like to have an unmedicated birth." - A.S.
"There are a lot of things I could say about my birth experience with my second child, but the first of which has to be how glad I was to have my doula, Joyce, in the room with me. Joyce comforted and encouraged me throughout my labor and delivery and made what had previously been a frightening experience into a joyous one. Joyce's experience with laboring women, doctors, and midwives, was made evident in the support she was able to provide for me. Her calming and knowledgeable presence, and her respectful, intuitive nature, truly contributed to our positive (and positively unmedicated) birth experience." - M.H. "Joyce is a close college friend of mine. When I was expecting my first child, I found out she was working on doula certification and asked about it. She provided a lot of information about the doula role and the benefits of hiring a doula. Once I decided I wanted a doula, Joyce was my natural pick, not only because she is a friend, but because of her confident, supportive, and calm demeanor. Joyce was knowledgeable and helped me get answers to my questions before, during, and after delivery. She was positive, friendly, and respectful of my choices. Joyce was a great comfort to me during labor since I did not have an epidural. She was able to suggest many helpful techniques for pain control, and she breathed with me through my intense, late labor contractions. Joyce helped me to remember to change positioning frequently, thereby helping labor to progress. When I became pregnant with my second child, I called Joyce right away to get on her calendar. She was wonderful once again. She didn’t mind me calling several times when I wasn’t sure if I was having false labor or early labor. When it was finally showtime, Joyce was a soothing influence, helping me to relax, even have fun(!) while laboring. With this labor and delivery, I used a midwife at a hospital instead of an OB like I used for my first child’s birth. The combination of midwife and doula is something I highly recommend for low-risk pregnancies. I particularly recommend Joyce Dykema!" 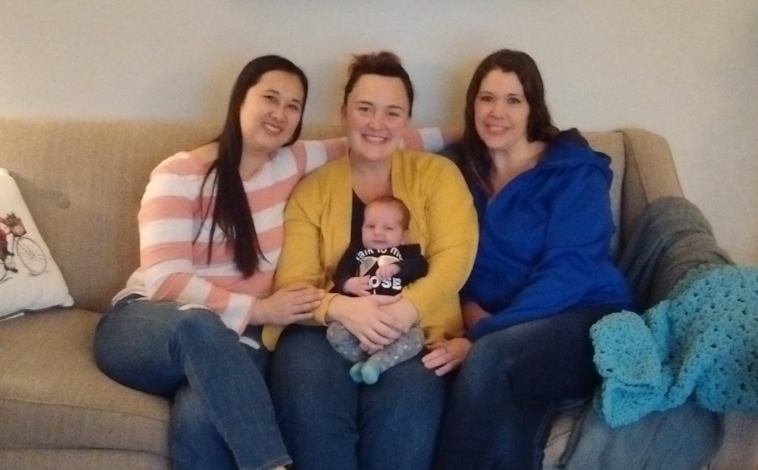 - A.S.
"For the birth of our first baby, we planned for a natural childbirth, and we knew we wanted the help of a doula to provide us the needed expertise and emotional and physical support to help us navigate this journey. 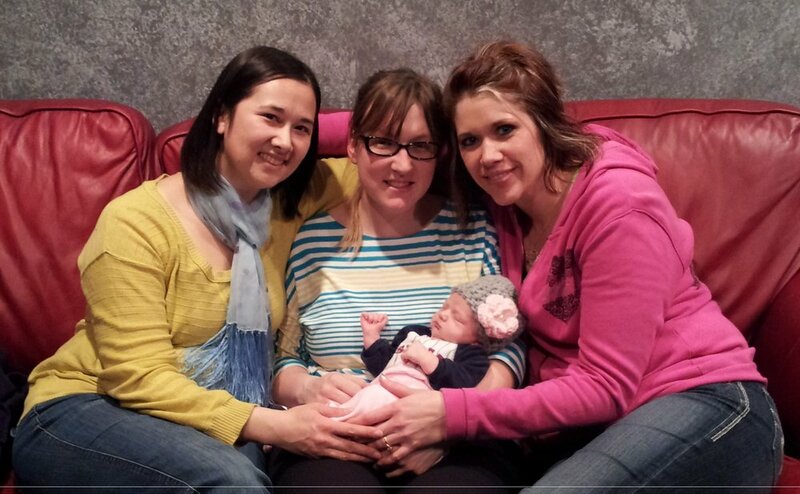 Joyce was everything we could have asked for in a doula, and so much more. Joyce met with us several times before the birth and walked us through natural birth relaxation techniques, reviewed every detail of our birth plan, and gave us information and tips that went above and beyond the hospital birthing class we took. Then, we were thrown a curveball at week 40, when I was told I needed to be immediately induced due to a medical complication, turning our natural birth plan on its head. However, Joyce was there at the hospital soon after we called her, and was there at our side for the labor and delivery. Then, immediately after being born when our baby had difficulty breathing and needed to be resuscitated, prompting an immediate transfer to the NICU, Joyce stood by us and provided us comfort during what was a very scary process. This allowed my husband to go with our baby to the NICU knowing that I would not be alone in those first moments after birth because Joyce was at my side. In those first terrifying and confusing hours after our baby's birth, Joyce was a godsend, going above and beyond what we had ever expected a doula could do - from literally holding my hand as I was being attended to after the birth, to taking detailed notes of what the NICU doctor and nurses were explaining to us - we could not imagine what our baby's birth and the hours afterward would have been like without her assistance. Joyce truly defines what a doula should be, and we would absolutely recommend Joyce to anyone considering a doula for their baby's birth." - L.S.